Physical health is an important part of health. It’s only one aspect! But it’s important. It’s hard to meditate when you’re in pain. And it’s hard to be as sympathetic and kind of a person as you can be, when you’re preoccupied with health problems. Dr. Joel Fuhrman is a doctor and nutritionalist who advocates a vegan way of eating, and he’s changed a lot of people’s lives with his extremely well-informed advice. What I don’t like about this video is that it looks like an infomercial. Camera shots of the people nodding and clapping, his introduction that makes him sound like a salesman — I don’t like that about this video. However, if you ignore that and listen to the information …I think it really is life-changing information. I think just watching it (If you can manage not to roll your eyes at the style of the video!) will have an impact on the way you eat, almost immediately. Here’s a song that’s said to be healing to the first chakra, the chakra that represents your health and sense of personal security. Maybe one could listen to it while eating one’s vegetables! : Click here. Photo: Author: Rasbak / Wikimedia Commons / http://en.wikipedia.org/wiki/File:Doperwt_rijserwt_peulen_Pisum_sativum.jpg / This file is licensed under the Creative Commons Attribution-Share Alike 3.0 Unported license. 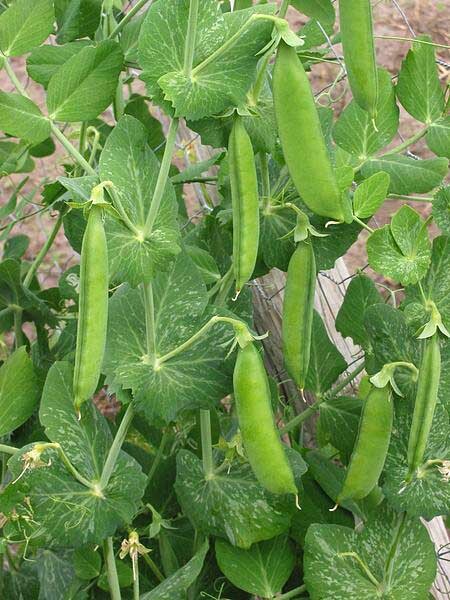 / A pea plant. Thanks for the reblog, Rashid. « BANGALORE: Oreo, rescued from a rainy day!